take Route 9 towards Berwick. 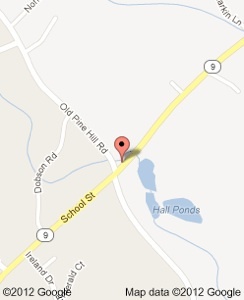 Near Farwell’s Auto Service in Berwick on the right side of Route 9, take a right on to Old Pine Hill Road. At the stop sign - take a right.